As a result of this hard work and dedication to a comprehensive understanding of the entire platform, we've recently been named a Salesforce Silver Partner. Part of being a partner is demonstrating successful execution of projects across different verticals and solutions. Our clients must provide excellent feedback through surveys delivered directly from Salesforce. We currently hold a 9.6 out of 10 satisfaction rating. Our team strives to deliver the highest level of service possible, and we're honored that our clients think highly of our work. We're not stopping here, though. Next, Salesforce Gold Partnership! 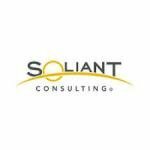 The post Soliant Consulting Earns Salesforce Silver Partner Status appeared first on Soliant Consulting.